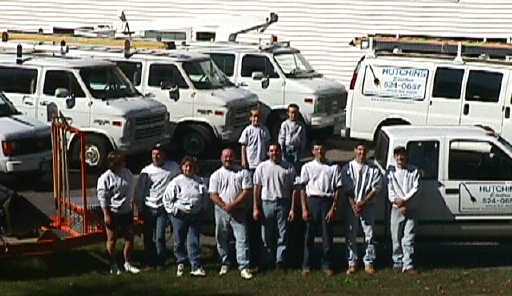 Hutchins Electric was founded in 1987 by James R. Hutchins. We have since built our reputation based upon quality service and customer loyalty. Today, a large portion of our work consists of Industrial and Commercial projects. Some of our customers include: Freudenberg NOK, Castle Springs, Mills Industries, The Citizen, Bank of New Hampshire, Barton's Motel, Fratello's Ristorante Italiano, and Belknap Point Motel. We also service the Town Of Gilford and it's many facilities including the Gilford Police Department, Town Hall, recreational facilities, and, of course, many of the local motels and businesses. Each of these clients demand superior service. 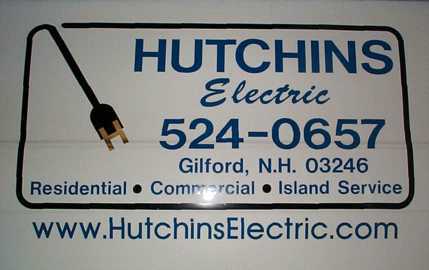 We at Hutchins Electric provide that service. Of course, residential work is still a stronghold with us. After all, this is where it all began. We pride ourselves on our customer loyalty. All service calls are radio dispatched. We are also servicing many condominium associations in the area including Southdown Shores, Overlook, Longbay, and Breakwater. Some of the Hutchins crew and fleet at our Morrill Street shop. You'll know we're in the neighborhood when you see our fleet markings.